Zippo magic with Christopher Shannon and a Competition! I love Zippo! When it comes to having a lighter, these guys are the coolest mothers out there. Available with cool collaborations(I bought my brother a Spider-Man one once), the iconic brand have teamed up with fashion designer Christopher Shannon and created these amazingly colourful lighters! 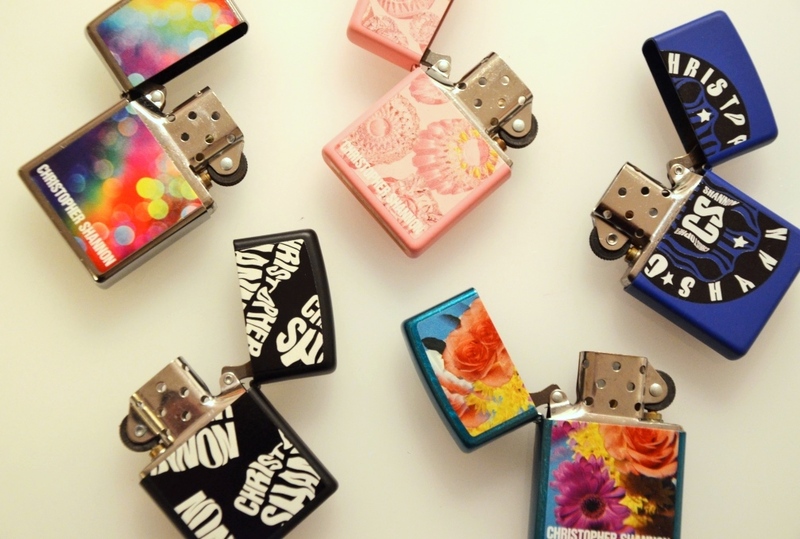 With an array of prints to suit many fashion tastes, these lighters are fabulous and even though I don’t smoke, theses are pretty cool to use at home lighting candles or even to carry in your bag as you never know when you might need a lighter. As this product has just launched, I have teamed up with Zippo and am offering 4 of these in a giveaway! If you fancy snagging one of these beauties, simply COMMENT below with your NAME, EMAIL and why you would love one of these lighters! I will announce the winner at the end of November so enter away old chums and GOOD LUCK!! What a quirky idea! Would love one! You’d definitely never lose it! These are so cute! Been wanting a Zippo for years, lol. So much more fun than the BIC I carry around. They’re really cute and memorable, and because of the square shape not so easy to lose in your handbag! I’ve always wanted one of these! I remember seeing them in movies, they’re so cool and fashionable! Zippo has such an amazing range – I’m spoiled for choice, I would love to own one!